I absolutely hate booking a campsite without knowing what the site looks like. 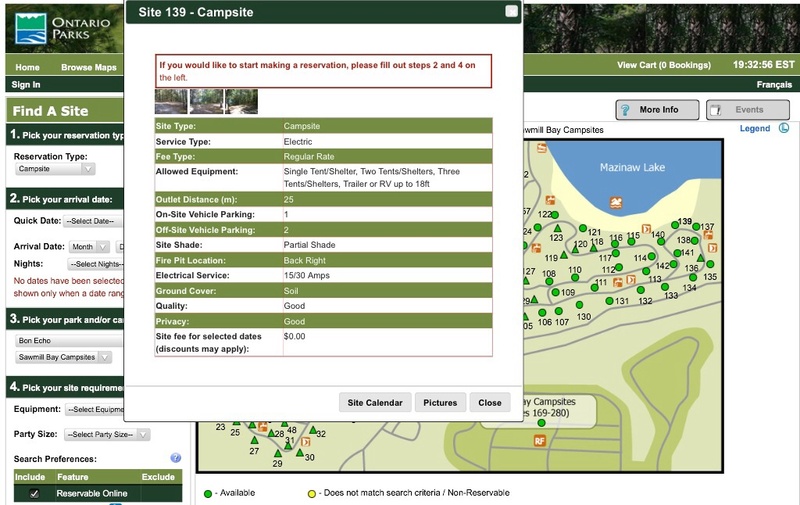 Yes, most online reservation systems have pictures associated to each site within the campground and they also typically have campsite dimensions listed on them. I do appreciate what reservation systems have to offer, but you don’t typically know what your site truly looks like until you get there. A screenshot of the Ontario Parks reservation system. A few things have helped us with the daunting task of booking the “perfect” campsite during the campsite booking season. The first thing that has helped us in deciding what sites to book is a website called Campsite Pictures. 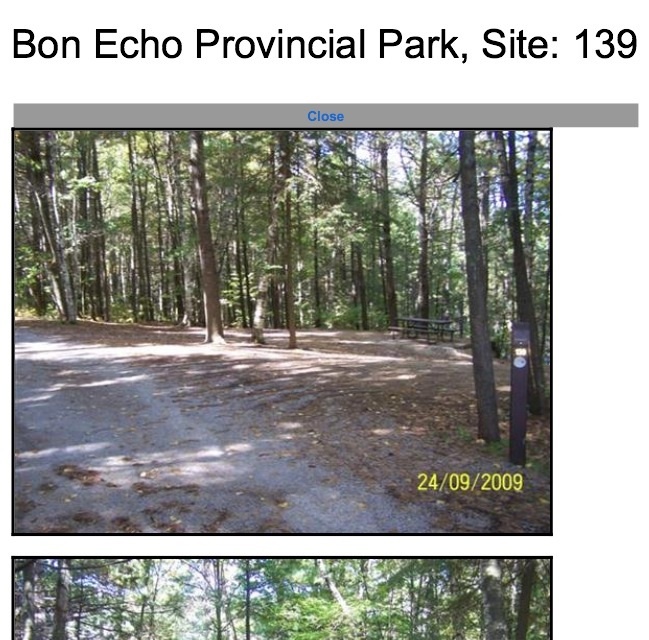 I stumbled across this website a few years ago when we were booking sites in an Ontario Parks campground. I am a very visual person and I was looking for additional pictures for specific sites. 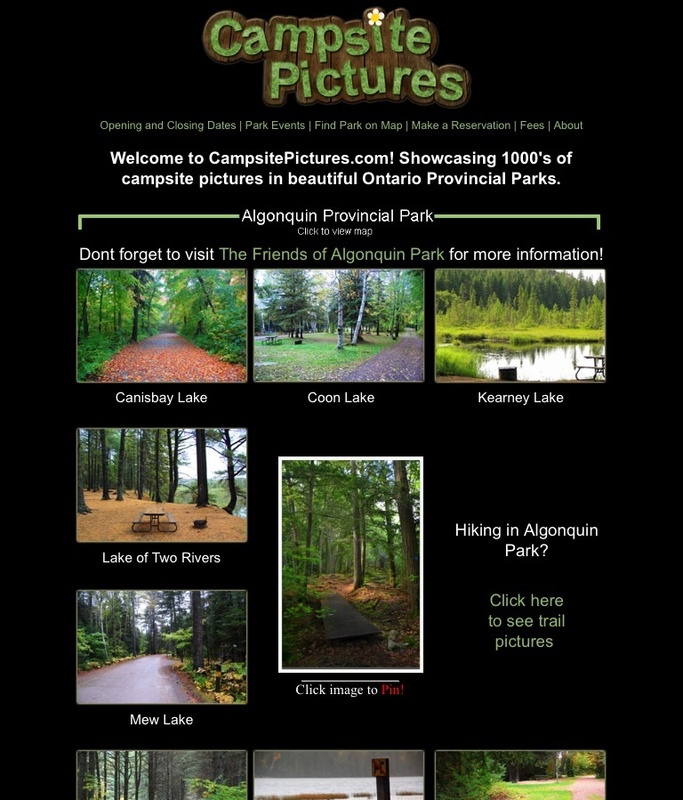 This website is fantastic, as it offers many site-specific pictures for many of the Ontario Parks campgrounds. The pictures are different from the ones that are featured on the Ontario Parks reservation system, so you are able to cross references picture resources to get a better idea of what your site will look like. 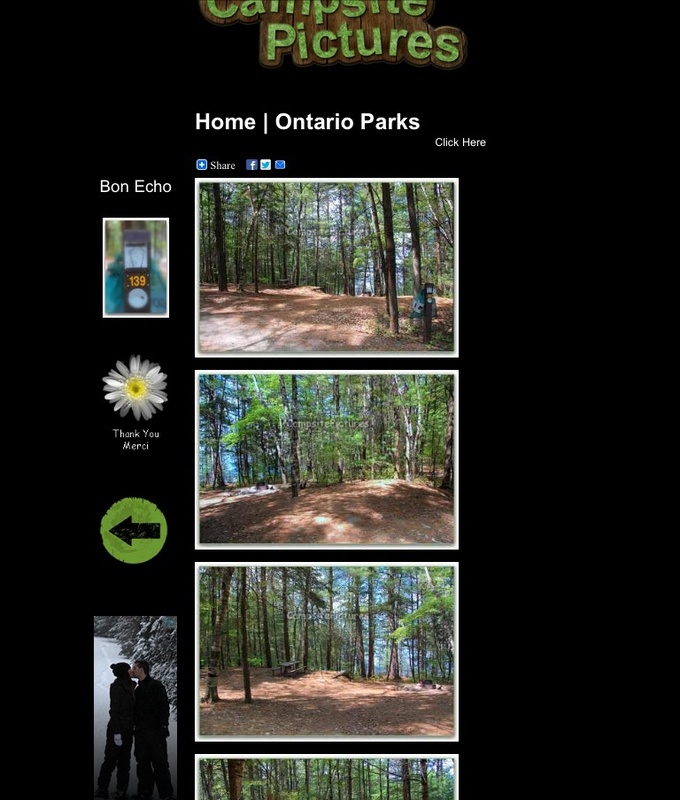 George has devoted a lot of time and resources to Campsite Pictures and it definitely should become a tool that you use when booking a site at one of the Ontario Parks campgrounds. 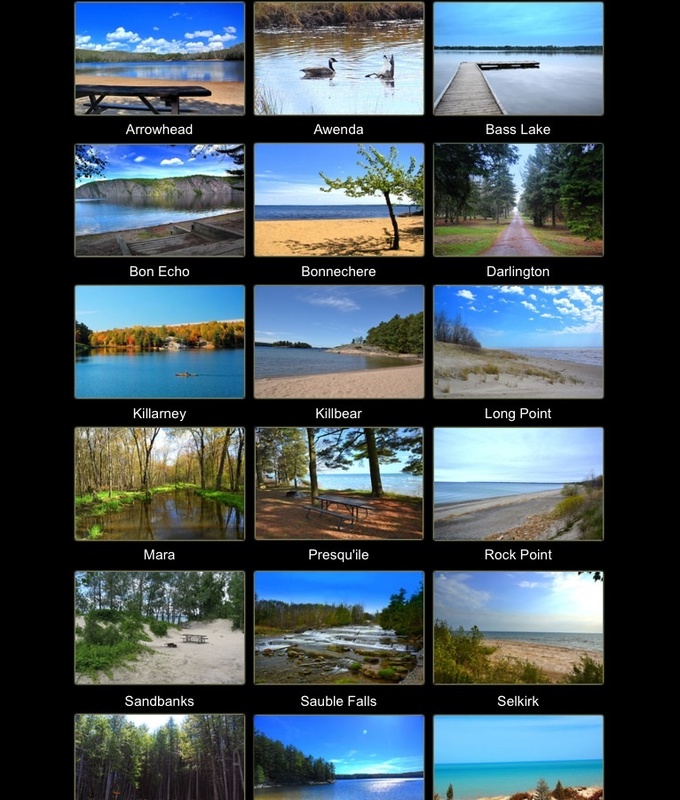 A screenshot of the site-specific pictures on Campsite Pictures. 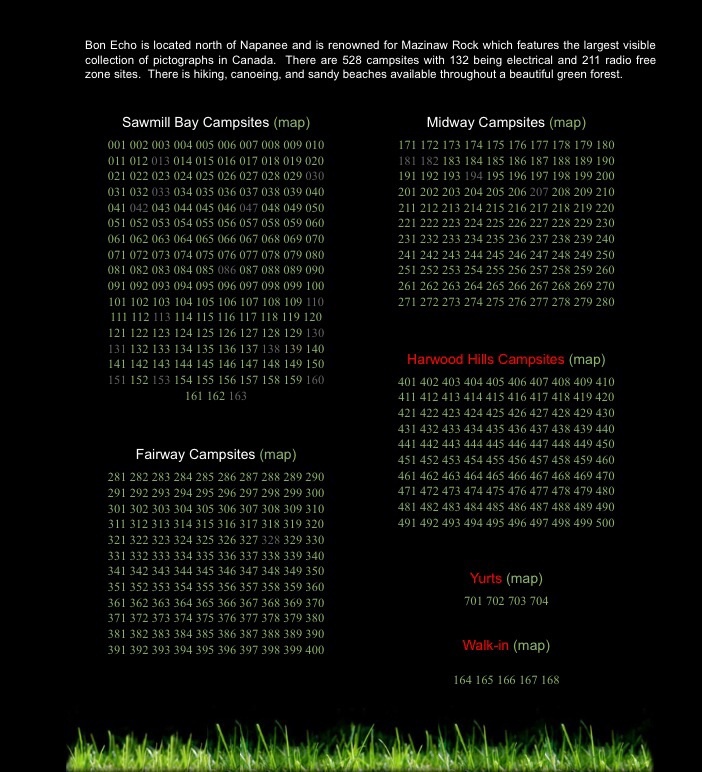 A screenshot of the Campsite Pictures website. The second thing we usually do is refer to our camping binder. We created a camping binder a few years ago to help us keep track of our preferred campsites. Our binder consists of clear plastic page covers (sleeves), lined paper, a hole punch, and a pen. Every time we visit a campground we spend about an hour driving/walking around with a campground map. We rank sites according to our likes and dislikes and then place the map into our binder. Then when booking season comes around we have a personal ranking system of sites to help us make our decision a bit easier. Finally, ask around. Take advantage of your camping buddies. 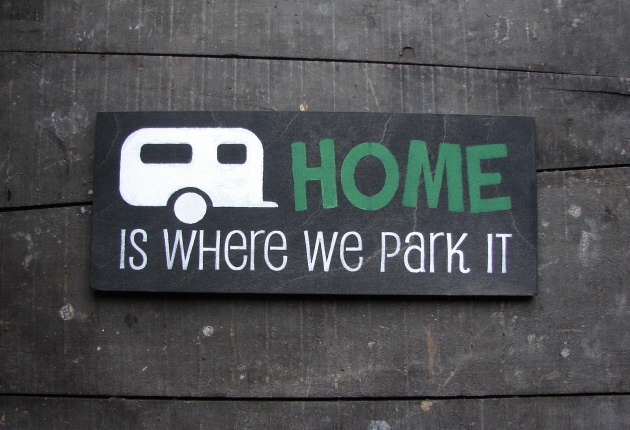 Perhaps they can recommend a site or at least a preferred section of a campground. Hopefully you are able to select a site that meets your needs and perhaps some of these resources will help you out in your decision making process. This entry was posted in Camping Tips & Tricks and tagged Campground, Camping, Campsite, Campsite Pictures, Ontario, Ontario Parks, Ontario Parks Reservation, Ontario Parks Reservation System, Pictures, Reservation System, Travel. Bookmark the permalink. I love the idea of making a campsite binder! What a great idea.